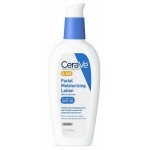 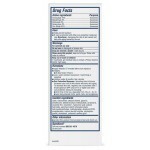 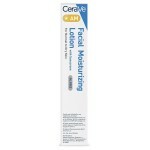 CeraVe AM facial moisturizing lotion with SPF 30 sunscreen 3 fl oz (89ml). 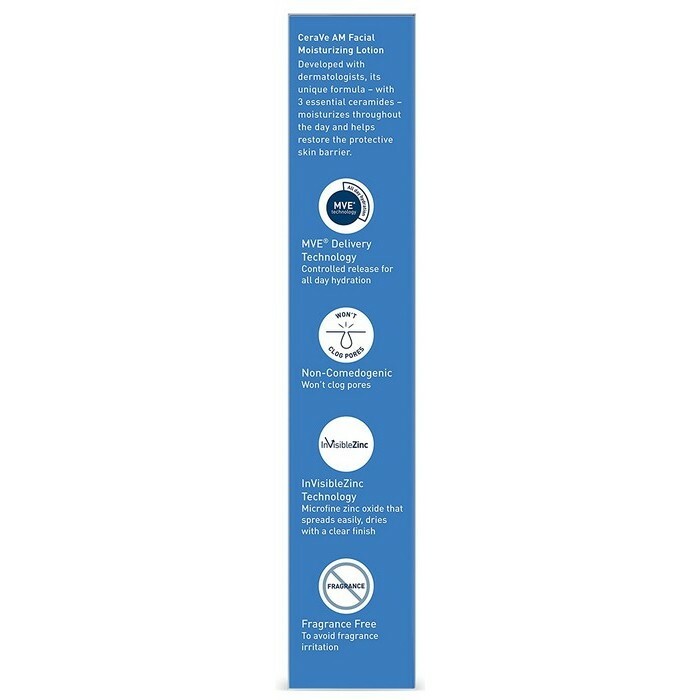 Developed with dermatologists, CeraVe AM facial moisturizing lotion with sunscreen moisturizes throughout the day and helps restore the protective skin barrier. 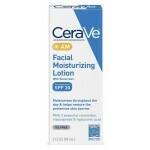 It is formulated with broad spectrum SPF 30 sunscreen for daily UV protection. 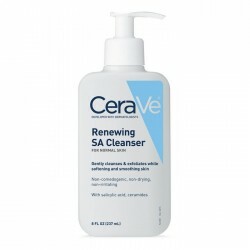 The formula also contains 3 essential ceramides, niacimide & hyaluronic acid. 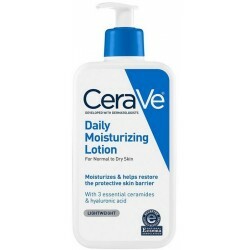 This formula is excellent for normal to dry skin. 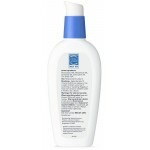 It is fragrance free and oil free and is suitable for sensitive skin. 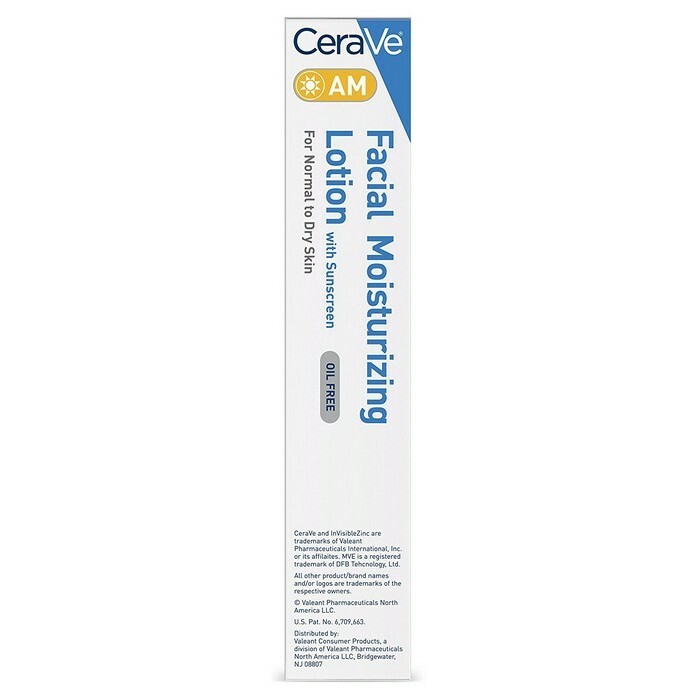 It also features patented MultiVesicular Emulsion (MVE®) controlled-release technology to gradually release the nourishing and protective ingredients into the skin, helping your skin stay hydrated. Formulated with broad spectrum SPF 30 sunscreen. 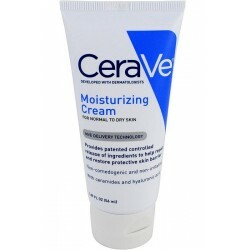 Utilizes InVisibleZincTM technology: Microfine zinc oxide that spreads easily, and dries with a clear finish. 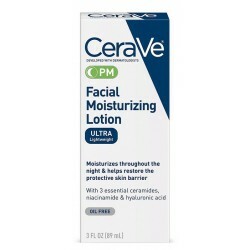 Moisturizes throughout the day and helps restore the protective skin barrier with three essential ceramides (1, 3, 6-II). Utilizes patented MultiVesicular Emulsion (MVE®) controlled-release technology for all day hydration. 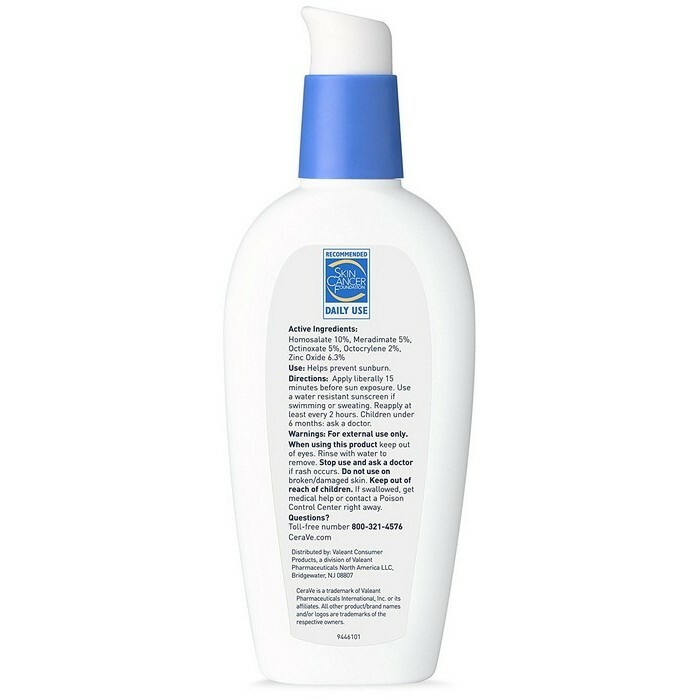 Formulated with hyaluronic acid to help retain the skin’s natural moisture and niacinamide to help calm skin. 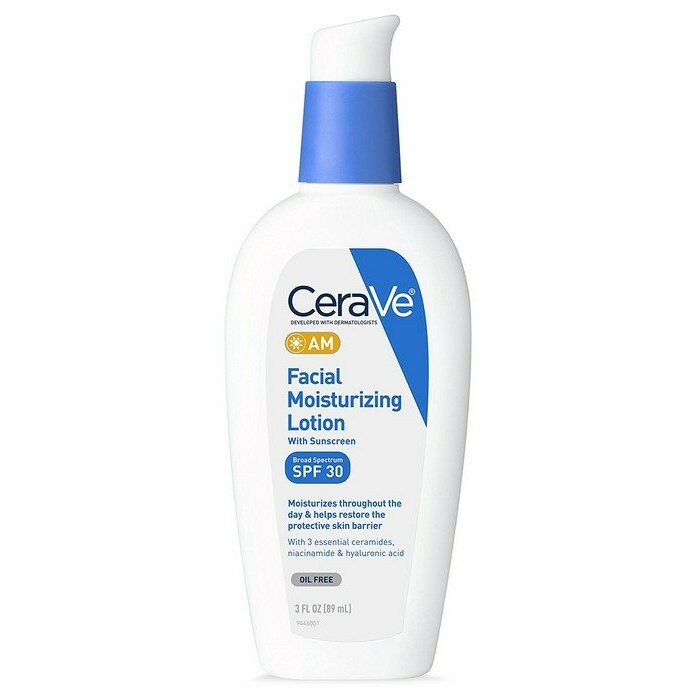 Developed for use on your face and neck. 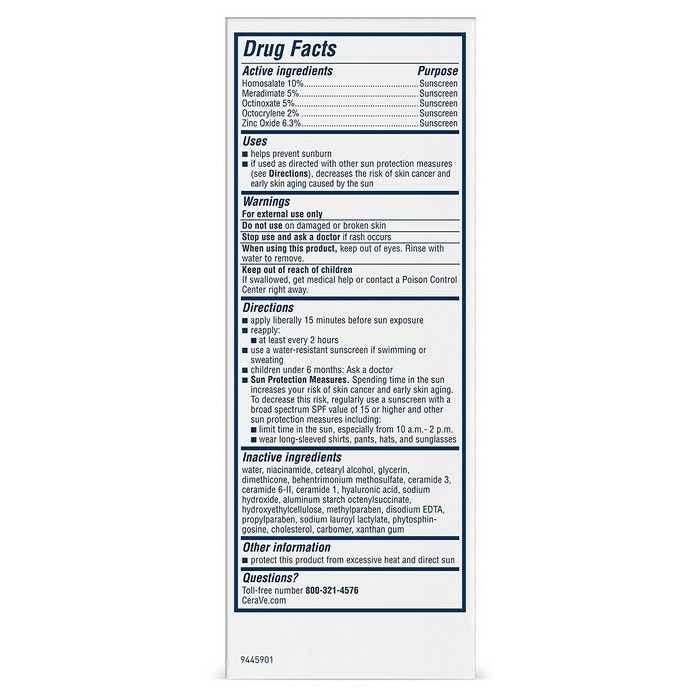 Homosalate, Meradimate, Octinoxate, Octocrylene, Zinc Oxide. 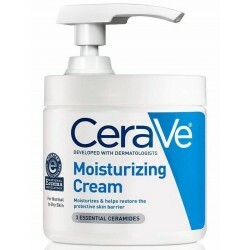 Water, Niacinamide, Cetearyl Alcohol, Glycerin, Dimethicone, Behentrimonium Methosulfate, Ceramide 3, Ceramide 6-II, Ceramide 1, Hyaluronic Acid, Sodium Hydroxide, Aluminum Starch Octenylsuccinate, Hydroxyethylcellulose, Methylparaben, Disodium EDTA, Propylparaben, Sodium Lauroyl Lactylate, Phytosphingosine, Cholesterol, Carbomer, Xanthan Gum.